Effective But Gentle. Will Not Harm Your Artificial Grass. Artificial Grass Cleaning Fluid 750 ml And Microfiber Cloth. Cleans, Lifts And Regenerates Tired Artificial Grass. Can Be Used With Our Range Of Artificial Grass Brooms And Hoovers. Artificial Grass Astro Turf Fake Green Lawn, 15mm Deep Garden Turf, 4m x 1m Roll | Electrical World. 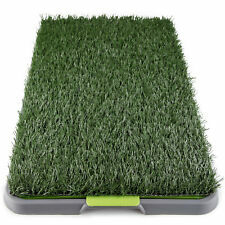 Electrical World Outlet > Artificial Grass Astro Turf Fake Green Lawn, 15mm Deep Garden Turf, 4m x 1m Roll.